Kiersten Hathcock became an entrepreneur the moment she decided to leave behind her old job in order to spend more time at home with her children. Being a stay at home mom might be a nice idea in theory, but Kiersten quickly realized that she was going to need another source of income if she wanted to be able to support her family. So, while at home, she began to do some research. Kiersten began to look into markets and studied how to design furniture. She later made the decision that she was going to create and sell custom toy boxes and other pieces of furniture. This home grown business was then named Mod Mom Furniture, which was quickly featured in popular lifestyle magazines such as Better Homes and Gardens and Dwell. Mod Mom Furniture already has quite a bit of success, but there is a catch. As a result of being a brand new business and Kiersten being a stay at home mom, the Mod Mom Furniture headquarters and manufacturing station are both housed in her family’s garage. Hathcock builds all the toy boxes and other pieces of furniture by hand, which can become quite tiring when she has so many orders to fill and such a short amount of time to do it. What she needs is someone to give her a leg up to take her business up a notch, which is why she decided to bring her business to ABC’s Shark Tank. Hathcock desperately needs one of the Sharks to strike up a deal with her so that she can begin to mass produce her products and introduce her brand to retail stores across the country. Hopefully she can convince one of the Sharks to bite onto her pitch. Hathcock enters the Shark Tank and asks the Sharks for a wopping $90k for 25% of her business. Then she begins to explain how she was introduced to the craft of carpentry. A few years back her family was in need of a toy box for their children, but they wanted one with a design that would match the other modern furnishings of their household. After they searched far and wide for a toy box that met their needs, they came up empty handed and that was when Hathcock took matters into her own hands. 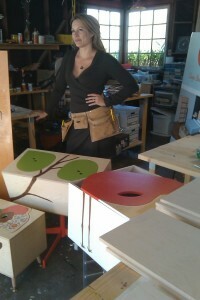 From that point on she began to make modern styled toy boxes that were also eco-friendly. She even designed the lids of the boxes to be sort of like a puzzle piece, which is supposed to make kids more excited about putting their toys away. Kevin O’Leary is the first Shark to inquire about her business. When asked about Mod Mom Furniture’s sales, Hathcock tells them that she made $34k the previous year and she made about 3 toy boxes a week. Her product has gone viral, but unfortunately she has had to turn down offers from celebrities and retailers in 17 different countries because she just does not have the man power to produce that many products all on her own. Robert Herjavec is genuinely surprised to hear that she is making all of these boxes handmade and on her own. He asks her own she learned to make them and she explains how she’s always been a “do it yourself” kind of person. She even taught herself how to do website design, which he deems to be a very impressive quality. Once again O’Leary brings the conversation back to sales. he asks her how much it costs to build a unit, including her time and resources. The example piece she brought in to show the Sharks costs around $115 dollars to make and sells around $475 dollars, which includes shipping fees. However, it takes her about 10 hours to make just one of the boxes because in between building, she also has to take care of her house and the children. So it does take a lot of her time, but she has her husband’s support and this is a huge opportunity for the both of them because he was recently laid off. Almost everything they have is relying on Mod Mom Furniture to succeed. Herjavec is warmed by her story and thinks that it’s great that she and her husband have such a strong relationship, but he is wondering how her business is going to scale up. Hathcock has plans to use the money to begin working with an Amish manufacturing company that is based in her home state of Ohio. According to the manufacturer, they could make up to 1000 units per week if that is what she needed for sales. $60k of the money would be put towards the production of bedroom furniture, but O’Leary wants to know why she would bother with a bed set when she is having so much success with the toy boxes themselves. She argues that if her brand is going to grow, she needs to offer more products. Barbara Corcoran agrees that she is going to be successful, but she thinks that Hathcock has severely underestimated the amount of money she is going to need in order to grow. As a result of this being an all too expensive business adventure, she decides to drop out. For the first time since the episode began, Daymond John speaks up to tell Hathcock that he is absolutely terrified of the furniture business, which is why he can’t invest into her company. Kevin Harrington then takes his turn to make a decision. He sees similarities between Hathcock’s brand and the Amish Fireplace company, but he figures that they only became so successful because the fireplace that they produce reduces electricity bills and Hathcock’s invention doesn’t really have much to offer other than a new modern style. He doesn’t believe that she will find that much success and does not invest. O’Leary and Herjavec are the only two Sharks left and Hathcock’s last hope. O’Leary states that because he loves the story she came in with that he is going to make her an offer. He offers her the original $90k, but instead of 25% he wants 33% of the company in addition to being paid a 7.5% royalty on each unit sold until his $90k is paid back. Before Hathcock can give him a yes or no answer, Herjavec takes his turn to put an offer on the table. He is also willing to give her the $90k in exchange for 33% equity, but he argues that his deal is better because he understand that a new business can’t pay a royalty because the money needs to be reinvested. So, Herjavec will only begin to take a royalty on the units sold if the company makes $500k in sales. 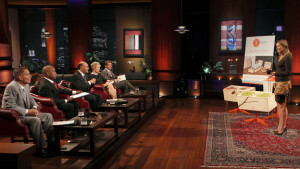 The two Sharks go back and forth arguing over who is right and wrong, but Hathcock makes the final decision to accept Herjavec’s offer. After appearing on the show, Mod Mom Furniture received a lot of recognition that sent sales skyrocketing. Kiersten began receiving a lot more orders that desperately needed filling, but unfortunately the deal that was struck up between herself and Robert Herjavec fell through. They never ended up making a deal, but that didn’t set her company back in the slightest. Another investor stepped up to the plate and struck up a deal with Hathcock and shortly after that she landed a licensing deal with Stanley Furniture. That particular deal allowed her product to enter the international market and put her brand on the map. 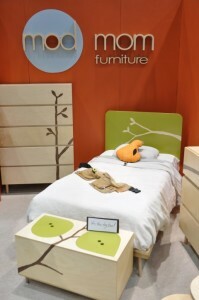 In addition to that, Mod Mom Furniture also has its very own website (http://www.modmomfurniture.com/). Customers can buy the toy boxes that were showcased on Shark Tank in addition to the new designs that she crafted. It also appears as if she plans on introducing new ottoman sets to her product line, which suggests that she and her company are still doing great and are ready to grow even more. 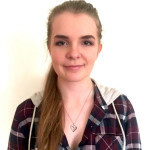 Alyssa is a freelance writer who lives in Philadelphia and is an English student at Temple University. She enjoys traveling and making new experiences, but spending a night at home with a good book is equally as pleasant.